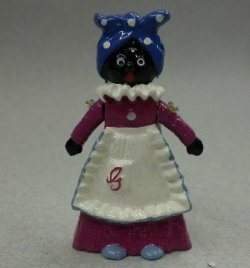 Mother Golliwog, painted metal, jointed arms, with a G on her apron pocket! 1-5/8" tall. Made by Warwick Miniatures.